Murray is a great problem- solver, because he’s a great listener. He absorbs everything and is able to guide the discussion to common ground. He’s wise, thoughtful - and a brilliant lawyer. Murray’s influence in the Ontario Public Service and the broader legal community cannot be overstated. Murray Segal is a strategic, innovative and inspiring leader – who also has an uncanny ability to see the big picture when others are focusing on the small details. Murray Segal provides the entire ministry with exceptional leadership – I’d like to thank him for his sage advice and guidance. We all benefit from it, myself included. Former Deputy Attorney General of Ontario. Former Chief Prosecutor of Ontario. Over 30 years of experience as a lawyer, executive, and advisor to governments. 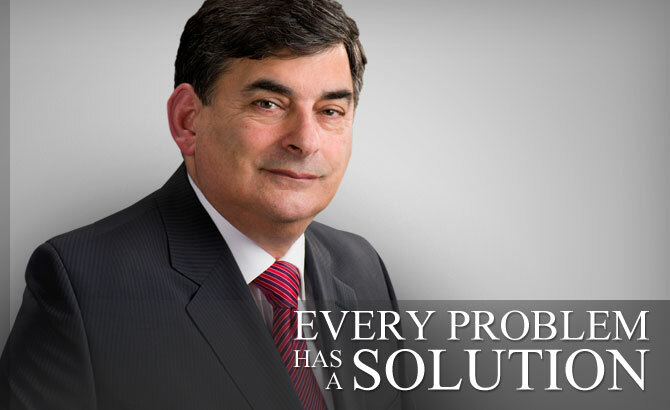 Murray Segal, former Deputy Attorney General and former Chief Prosecutor of Ontario, has over 30 years of experience as a lawyer, senior executive, and trusted advisor. He provides legal, consulting, and dispute resolution services. With Murray’s depth of experience, every problem has a solution. In 2017, Provided advice to Ontario Attorney General as member of Bail Advisory Panel. In May, 2017 participated in armchair discussion for Federal, Provincial, Territorial Ministers on delay in criminal courts. In January 2016, he was appointed to the Indepdendent Board for Senate Appointments. In November, 2015, he was appointed as Director of CMHA, Greater Toronto. In September, 2014, he was appointed as trustee of CAMH. In October, 2015, Murray Segal released his report as Independent Reviewer on behalf of the Province of Nova Scotia on the actions of the police and prosecution services in the handling of the initial investigation of the Rehtaeh Parsons Case.